Swine floo, do nawt want! Myte be tuu layte, kitteh … ur alreaddy luukin kynda pink. It wuz a joynt effert wiv Puddy, akchoolee. need to fling sum burdies an reskyoo teh kitteh! Oh noes! Floofy pigz has gon virul! 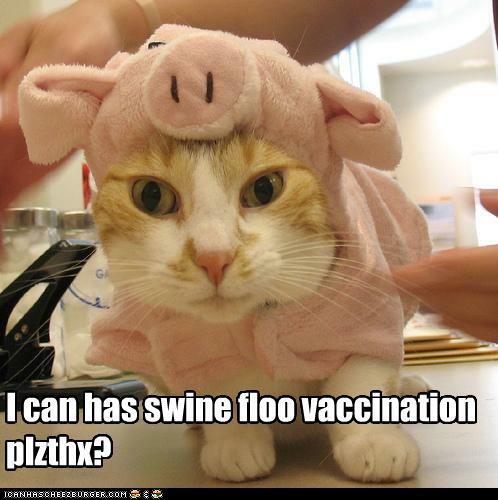 luks liek the pig floo-shot did knot wurk?? Wut wud happen if we gabe u bird floo shot too? we’d need sturdier brollies, that’s fur sure!! Nawt wurree kitteh, u habs tu hab wings to hab floo. An piggeh’s nawt hab wings so berry fyoo hab floo’d. Ai hab nawt gottid wings an Ai had teh piggeh floo! Answer: Kitteh wuld bii teh protagonist AND antagonist ob hiz own hit video game. i can haz anti-peepls-putting-silly-costyooms-on-me vaxeen, plz?